Paul was born in 1984 in Edinburgh. He graduated from the University of Aberdeen in 2006 with a first class honours degree in music and has since began his studies for a PhD in composition, also at the University of Aberdeen. He has taken part in numerous masterclasses with singers such as Donald Maxwell, Raimund Herincx, Cate Hughes, Margaret Cable and Stephen Varcoe. In 2005 he was awarded the Ellie Pirie award by Aberdeen Bach Choir and the North East of Scotland Music School. In 2006 Paul was awarded the First Derek Ogston Postgraduate music Scholarship from the University of Aberdeen. As a soloist Paul has worked with many local groups including the University of Aberdeen Choral Society and Chapel Choir, Concordia String Orchestra, Aberdeen Orpheus Choir, Peterhead Choral Society and the Queens Cross Charity Concert. He has also performed with the Hereford International Summer School Chorus in the role of Aeneas in Purcell's Dido and Aeneas. Paul also gives numerous recitals of English song and last year gave the first Scottish performance of 'To a Poet' by Gerald Finzi. Paul is also active as a conductor and composer and has recently studied on the St. Magnus Festival Composers Course with Alasdair Nicholson, Sally Beamish and Sir Peter Maxwell Davies. His latest piece 'Threnody' was premiered by the Kreisler Ensemble at the St. Magnus Festival. 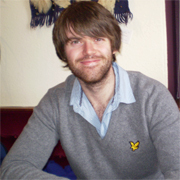 Paul is currently director of the University of Aberdeen New Music Group and the Learig Orchestra. He has also been musical director of the University of Aberdeen Gilbert and Sullivan Society in 2007.